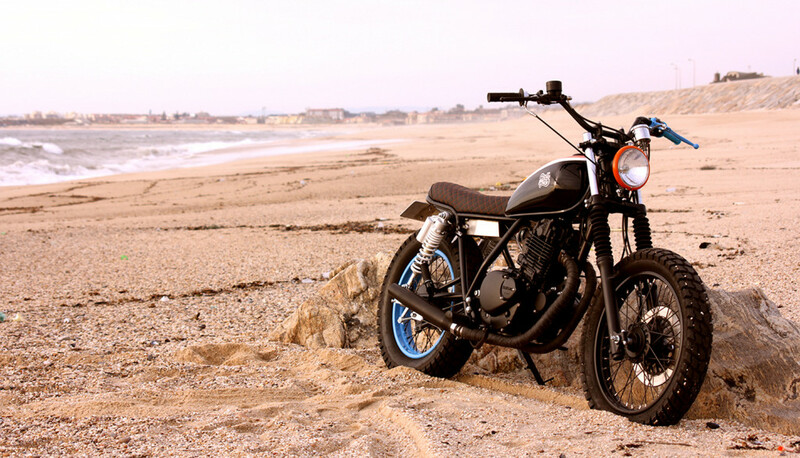 The Suzuki GN250 is one of the most popular beginner bikes in the world. 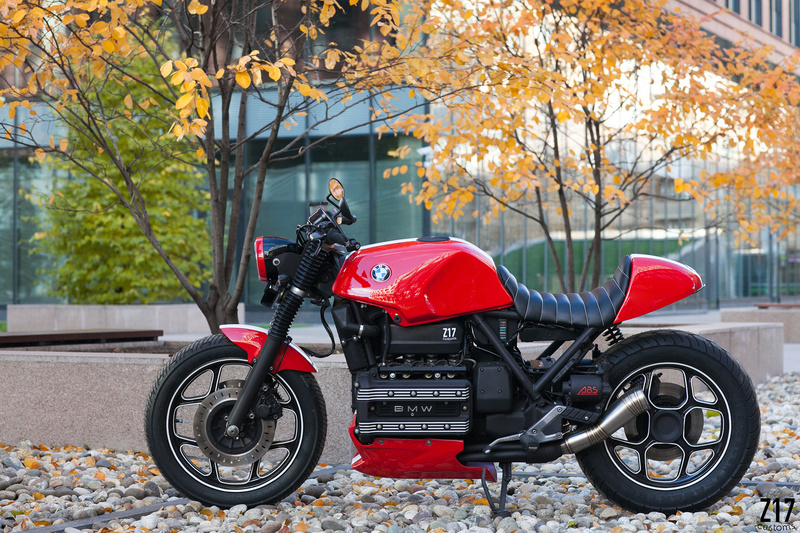 Of course, there’s nothing like your first motorcycle, and the crew at Portugal’s Trinta&Um Motorcycles has made something special of the oft-overlooked GN. Trinta&Um–meaning “Thirty-one” in English–was founded by a group of friends in Porto, Portugal, in 2013. 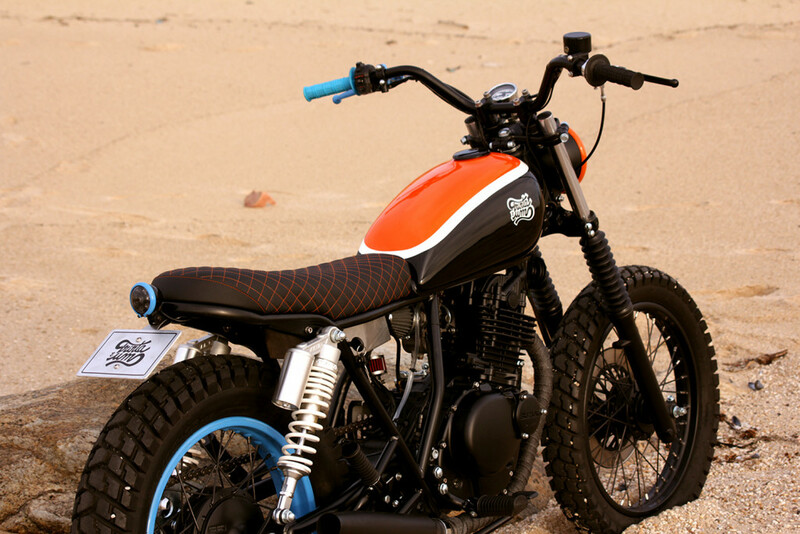 They have built a number of bikes we love, including this NX650 tracker featured at The Bike Shed. The group consists of welders, mechanics, videographers, and designers–quite the crew! We will let them give you the story behind this interesting build. Spring is here and it brought us this lovely Suzuki GN250! 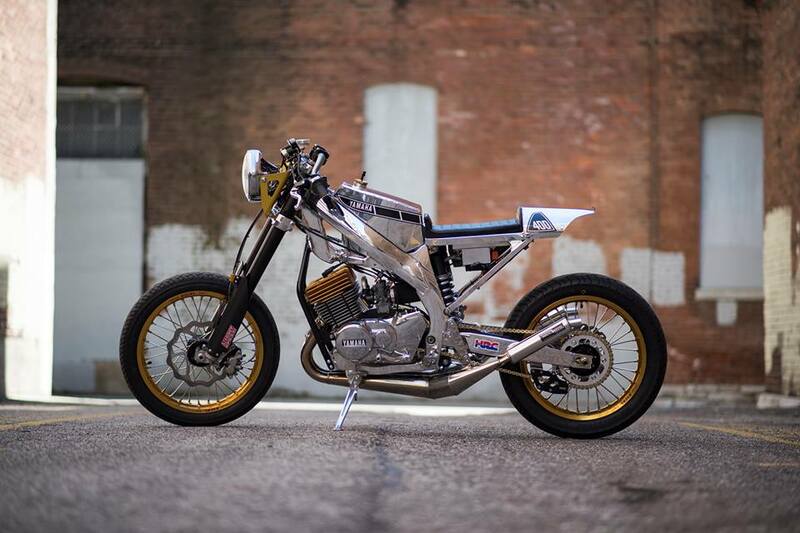 A brand new project that arrived at Trinta&Um motorcycles with no major changes from stock. The engine was totally worn out, a complete engine rebuild had to be done, some extra “juice” was added as well with the big-bore 300cc upgrade. The 340mm rear suspension and the tires choice, a 130/90/16 (rear) 4.10 / 18 (front), allowed to get a straighter line from the sub frame. A new handmade battery box was made, so in order to occupy as little space as possible the entire electrical system had to be modified. A new ignition key switch facilitates the startup and a simple MX handlebar control switch replaces the two original ones and makeS it cleaner. A tracker handlebar and a new set of levers, as well as a new master cylinder helped to get rid of those giant controllers. The new paint job from our partner RememberVintage turned the project even more joyful. 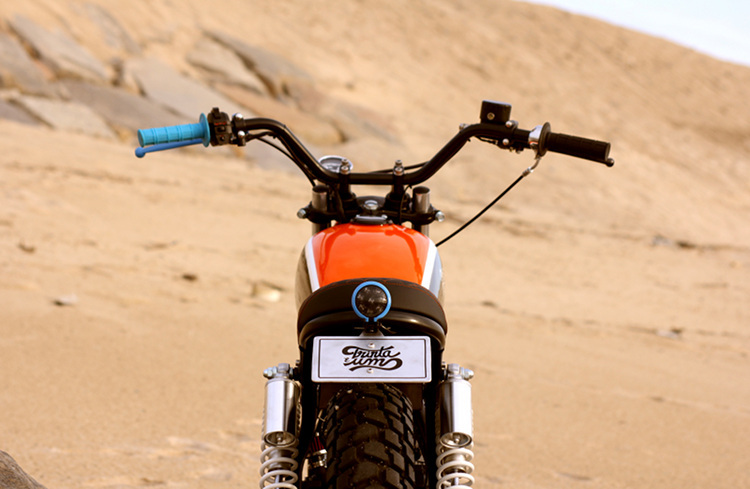 The name given to this motorcycle is a little bit awkward: “Coin.” Only Osvaldo Bessa, the owner, understands it. That’s it, here’s new Suzuki GN “300”! Small, colorful, robust and fast! Though and rebuilt following Osvaldo’s lifestyle and ready to roll! Hey very good work. 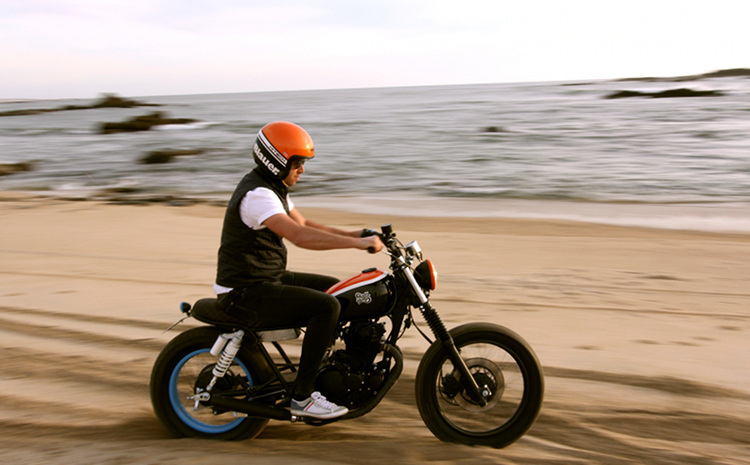 The bike is amazing! 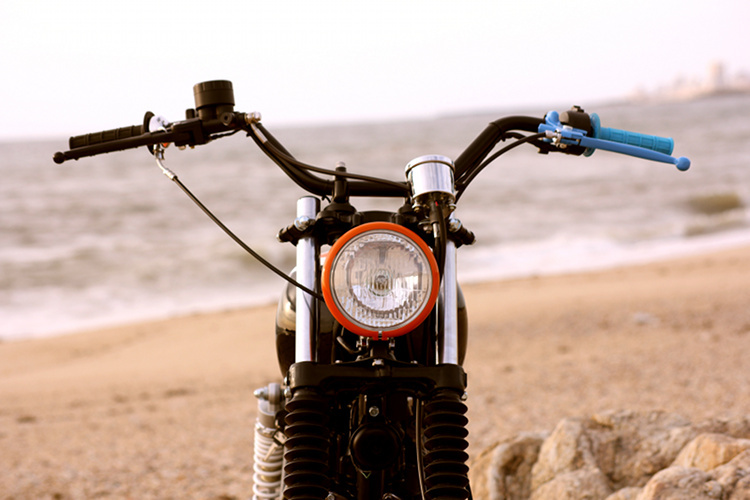 I want to know how you put this type of headlight there; because I want to fit to my gn a honda steed headlight.